have i told you how much i love your blog? i do. Mila, so glad you stopped by my blog because I found yours! I LOVE it. 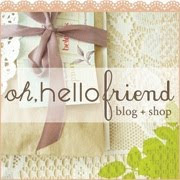 WIll definately be adding you to my blogroll. I love, love, love, love, love it.... & I would like to need it!!! i love this picture so much! those glasses, that face, her makeup is all perfect! I like everything about this photo! Your blog makes me feel well, even in those days that i don't want to wake up, because dreaming is so much better then real life. wow I love these glasses ... im actually shopping for a pair but these are ... wow. Thank you, dear, for your lovely comment. I just signed up for the exchange today and I am really looking forward to it! Mila, jouw blog is echt super!! Ik kijk regelmatig op je blog. En verwonder me elke keer waar je al die mooie,foto's, plaatjes, interieur, inspiraties, websites enz vandaan weet te halen. Ik krijg er zelf heel veel ideeen en inspiratie door. Ohh I love this photo!